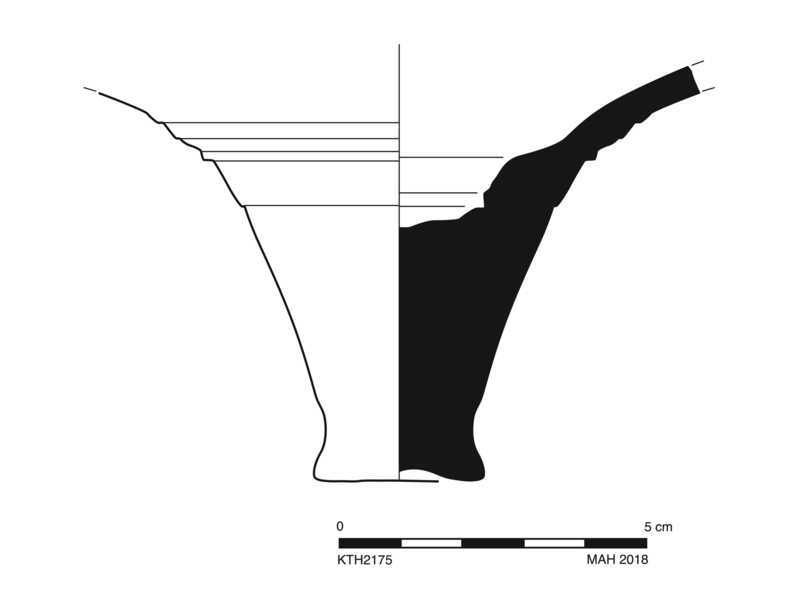 Single sherd preserving short spike with end emphasized. Fabric very close to Argolid LRA2: fewer inclusions than usual, only small “lime”, relatively few. Pale buff surface thickly slipped.